Welcome to our link page. Below you will find many clock related internet links to help you located clock manufacturer websites, Clock and watch clubs and associations, and clock information and history sites. Step back in time with a visit to the American Clock & Watch Museum in America’s great clock making town, Bristol, Conn. Hundreds of interesting and beautiful timekeepers will remind you of times past. An illustrated history of timekeeping from ancient times to the present. AWCI is an international not-for-profit trade association dedicated to the advancement of horology. Since 1875. Recognized internationally for craftsmanship, design and service, Bulova reaches a wide range of consumers with its diversified watch and clock collection. 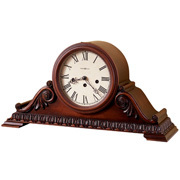 Chelsea is one of the premier clock manufacturing companies in the United States, since 1897. Parent company of Seth Thomas clocks. Howard Miller is a world leader in clock manufacturing. Howard miller has created a variety of distinctive wall, mantel and floor clocks for every walk of life – and every moment of it. Kieninger was founded in 1912 in the Black Forest by Joseph Kieninger and therefore is the oldest existing manufacturer of mechanical clock movements for grandfather, wall, and mantel clocks in the world. First company to introduce atomic time pieces to the U.S. consumer market. The National Association of Watch and Clock Collectors main website. Forum for the National Association of Watch and Clock Collectors. National Institute of standards and technology. Physics laboratory Time and frequency division. WWWVB radio stations for radio controlled clocks. Many clock articles on the history of American clocks. Importer of fine clocks from around the world. What sets Rhythm apart from the rest of the industry is its investment I the development of state-of-the-art feature and designs. Ridgeway Clock Company is a comprehensive resource for fine Grandfather Clocks. We believe that true value is derived from a combination of quality, price and service. Since 1988, River City Cuckoo Clocks has offered the finest collection of cuckoo clocks available from German manufacturers. Anton Schneider began producing cuckoo clocks in 1848 n his farmhouse in Schonach. The business is now in the 6th generation and has been producing high value cuckoo clocks at its current location since 1952. Seiko believes that the best way for you to select and purchase a Seiko watch is at one of our authorized retail stores. The name Seth Thomas is symbolic of value and excellence of craft, as a result of the variety of sophisticated styles it has produced since 1813. In 1968 Sligh acquired the Trend Clock Company. In the 1980’s the Trend name was dropped in favor of simply Sligh. Caring for clocks and watches. The finest case makers and movement builders from around the world combine their talents to produce a line of heirloom timepieces.